Recently we talked about the essential steps in building your lead scoring model, starting with last week’s checklist to help ensure that you’re ready to initiate a lead scoring project. Let’s look briefly at the remaining steps in building your model. Pull together the key stakeholders in Sales and Marketing and get them into the same room. Make sure experienced, in-the-trenches resources from both teams are assigned to the project—this is not the right project to entrust to entry-level staff. Consider bringing in an expert resource to help guide your project. I know it sounds self-serving, but trust me, it will save you a lot of time and pain! Plus you probably already know that a neutral third party can be very helpful in mediating disagreements between strong-minded colleagues. . . I probably don’t need to go into a lot of detail on that issue. . . The role of Sales: Describe the ideal customer. List the attributes that make up the total profile. The role of Marketing: Describe the “matchmaking” process and what a Marketing Qualified Lead looks like. Folks from both teams need to explain their reasoning so it can be clearly understood. Statistics and examples can be helpful, but truly understanding each other’s beliefs is the purpose of this exercise. Discuss qualification until you come to a consensus. In some organizations, this will be easy; in others, it may be painful. Either way, it’s critical! Once the qualification criteria has been determined, the forms on the website must be updated to capture that information from your prospects. 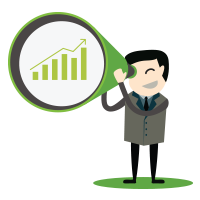 DemandGen clients have the advantage of working with our proprietary Lead Scoring Worksheet for real-time modeling. Changing the weighting numbers for different attributes and looking at the results allows you to test your assumptions for accuracy, as well as to backtest against known customer attributes. 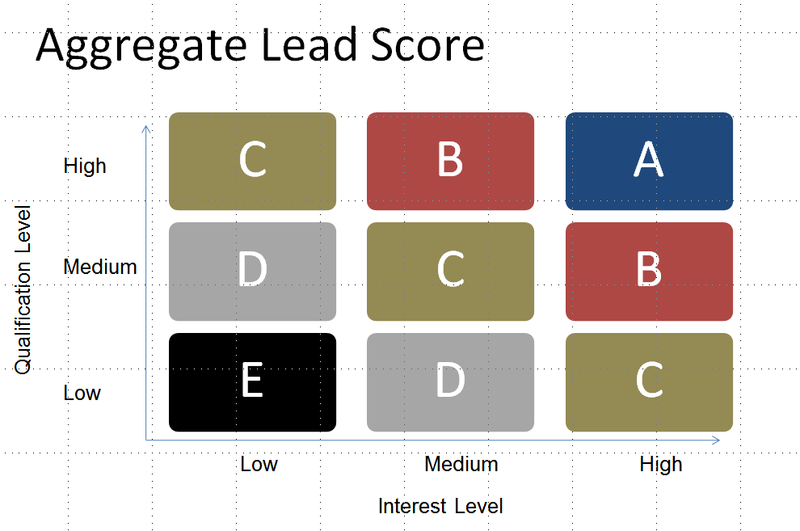 Once you have the qualification and interest model, the ultimate lead scoring formula combines these two dimensions into a very simple rating system. The goal here is to take the complexity out of this process. A simple A-E grid provides an excellent solution. Can the rep easily find the lead rating system in the screen being presented? 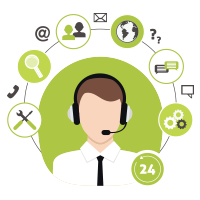 Can the rep determine instantly (say, five seconds) that a specific lead is worth contacting? Can the rep instantly see how qualified the lead is? Can the rep instantly see how interested the lead is? The point here is that presenting a numerical score in a field (62 out of 100, 33%) is not going to achieve the simple at-a-glance recognition that makes lead scoring effective for the salesperson. Whether you choose stars, hot peppers, flames, or some other meaningful graphic, a visual rating is the best way we’ve found to present the overall lead score, followed by thermometer-style meters that indicate qualification and interest level. Next week, we’ll conclude our look at lead scoring with a discussion of how to calculate the ROI of integrating this valuable tool in your marketing toolbox.